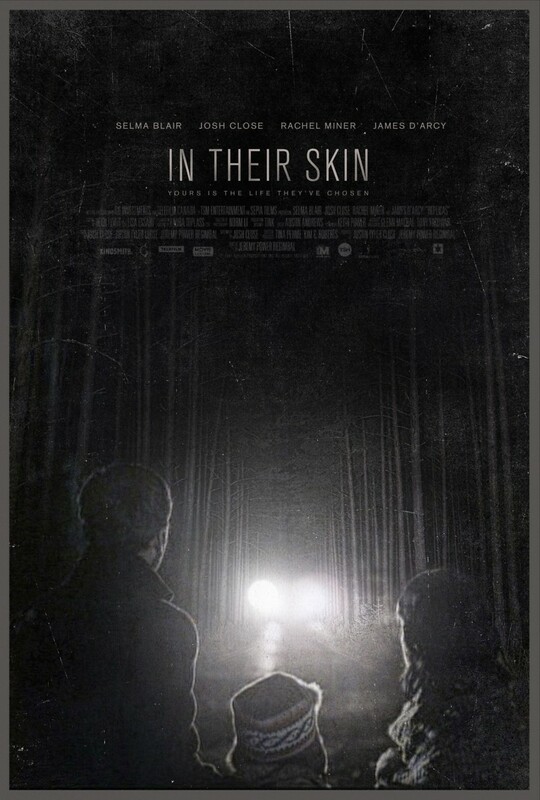 In Their Skin DVD release date was set for March 12, 2013. The Hughes like to think that they are a strong and loving family. When the Hughes lose their six-year-old daughter to an accidental death, the family decides that they need to escape from the rest of the world to get their lives back together. While the family is staying in their cabin, they start to befriend the family that is staying in the cabin just down the road. As the two families start to spend more time together, the Hughes realize that this new family is after much more than just friendship. This new family is in pursuit of the perfect life and they think that the Hughes have that perfect life. Now the Hughes must stop this family of criminals from stealing their identities and killing them just to take what the Hughes have taken for granted.